We used these books, however, because of the amazing photographs/illustrations and the basically good information about the various critters. And there really weren't any good options. World of Animals. This amazing, big 250-some page hardcover book covers animals from the "simplest" (protists, sponges, corals) up through the mammals you would expect in an animal book. And it covers a bunch of categories "in-between" as well... worms, insects, fish, amphibians & reptiles, and birds. There is a fabulous combination of photographs and illustrations, and the text goes way beyond just factoids. Thomas (11) said, "I really like how much it describes the animals. It spends more time describing details that you don't automatically know. Some books spend time on stuff like 'giraffes have long necks' which you know just by looking at one. And others just give a bunch of numbers and stuff. This tells you all kinds of cool stuff without getting bogged down on the stupid." His big brother noticed something else about this book, though, that I think is absolutely wonderful. And that is that it is giving these "Fascinating facts about the world of Animals" without the evolution stories (as I mentioned above) but also mostly without a lot of "God designed this" talk either. We have not read the entire book, and I wasn't really watching for it until the last week or so... but really, the introduction is the only place we noticed content that would be considered specifically "young earth" in nature... the bulk of the book is just really great information about animals. And even after minoring in Biology once upon a time, and after the bazillions of animal books I have read to my kids in the past dozen years, I was finding things in here that I did not know. This is a book I would highly recommend for every kid... and I know we'll be reading through it a few times. 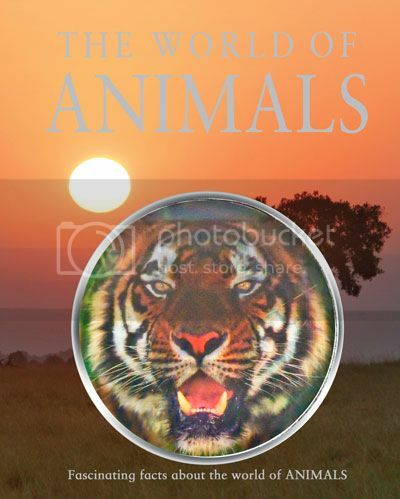 You can check out a great sample of this animal book here.